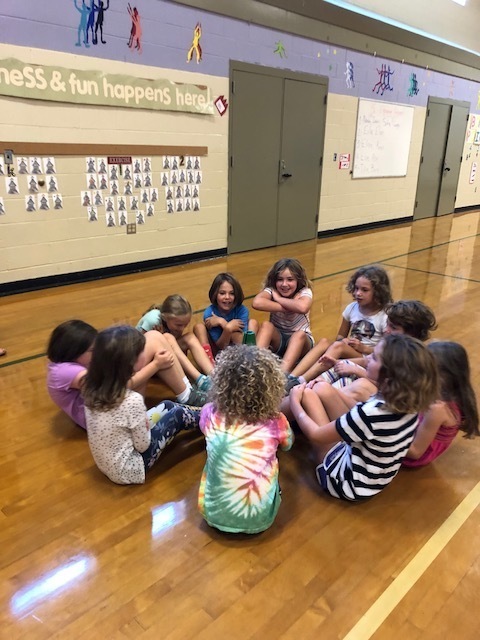 The third graders are taking part in various fitness activities to learn about the different components of fitness. Our discussions include: how being physically fit not only helps your body, but also helps your brain learn and how choosing to participate in fitness activities that involve a friend (or two, or three, or more) can also help keep you motivated and make fitness something fun and look forward to. Pictured above is a group of third graders who surrounded themselves with fun and friends while doing sit-ups. They counted together and synchronized their sit-ups, so that they could work as a cooperative group. Fitness is work, but it should also be enjoyable. Joining friends and working together is always helpful in any activity, which includes keeping your bodies and your minds healthy!